2017 Update: Easter Extravaganza will be held Tuesday, April 11, 2017 at 4 PM. This year’s egg hung will be a ticketed event. Free tickets are available at the customer service desk starting March 1st. 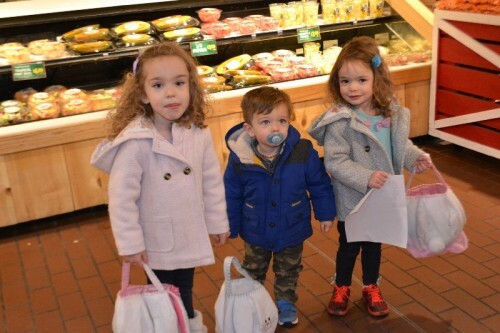 This past week I took the kids to the Easter Extravaganza at Stew Leonard’s in Newington, CT. 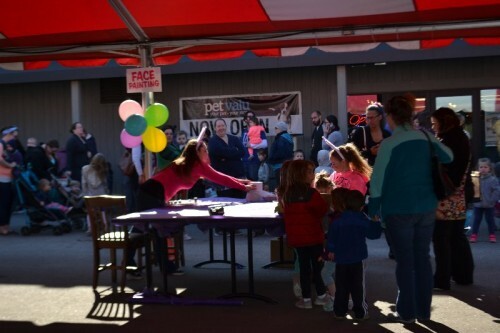 It makes my list of family-friendly Easter activities in Connecticut each year, but this was my first time braving the crowds for this family-friendly (and FREE!) Easter activity. 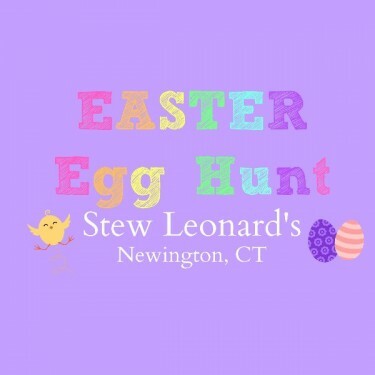 The Easter Extravaganza is an “egg” hunt winding around the aisles of Stew Leonard’s. We love Stew’s so much that we even held the twins’ 4th birthday in their party room. Any excuse to visit is goo enough for me. The event started at 4 pm and I had been warned to get there early. When I arrived at 3:30 the line was already wrapping around the outside the right entrance of the store. I imagine that the first people in line got there before 3 pm. It felt as though the whole state of Connecticut was there. Thankfully it was a nice day so we didn’t mind waiting outside. Stew’s tried to keep the kids entertained while in line by having some of their characters walking around and greeting the kids. There was even face painting available. 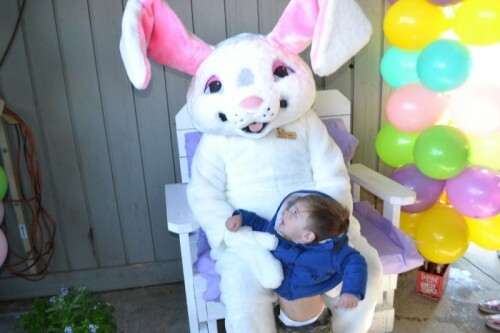 The Easter Bunny was even seated near the entrance to the store available to take pictures while waiting. I happened to snap a quick photo of my littlest one — even though he was less than thrilled! The line started moving before 4 pm. We were greeted at the entrance with a map of the egg stations. 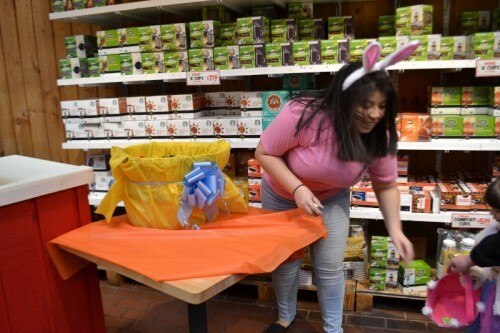 There were about 5 stations scattered throughout the store with friendly employees (wearing bunny ears) handing out candy to all of the little ones. At the last station, each child received a plastic Easter egg filled with candy. TIP: Grab a shopping cart to contain little ones, or do some shopping while at the store. Bring along Easter baskets for the little ones or use the produce bags provided by the store. We were in and out of the store within 45 minutes, including purchasing something for dinner. The line seemed even more crowded on my way out of the store. Overall, I think the egg hunt felt more like trick-or-treating with the kids getting a few pieces of candy at each station. Eggs were only handed out at the last station. I heard that they switched things up a little bit this year, so who knows how things will be in the future. The whole activity was free, so you can’t complain too much when your kids are getting free candy. The kids had fun so that’s all that really matters.